Planet3D features a section from a 19th century painting of a woman entertaining herself with a stereoscope. Stereoscopes are a fascinating part of 3D history. They remind us that 3D is not a new entertainment phenomenon but a technique we human beings have been playing with for a very long time. The cards themselves are windows into other times and places—the stereo effect often brings a startling realism to a old-fashioned sepia image. This Sterogranimator tool lets users select an image from the archive, render it as an animated gif and/or an anaglyph image (where two color offsets create the illusion of depth). These can then be shared in the online gallery (and in the case of the anaglyph images, viewed with red/blue glasses). A page of frenetic flashing gifs or anaglyph pictures at first glance may seem, well, silly. Take some time to look at them and notice the subject that photographers chose to shoot (and site visitors chose to “stereoanimate”—the depth of images, the vantage points, the subject matter. It will bring you closer to some pretty amazing people, places, and things. While debate continues about 3D as a cheap commercial trick or powerful visual tool this project brings interesting insight and context. 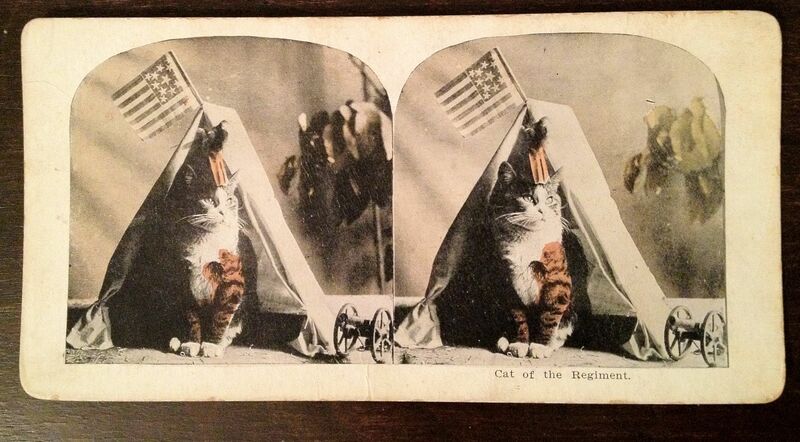 From the private collection of Planet3D: before cats on the Internet there were stereoscopic cats. My review in seven words: the film is excellent, go see it. But I’m not here to review films. 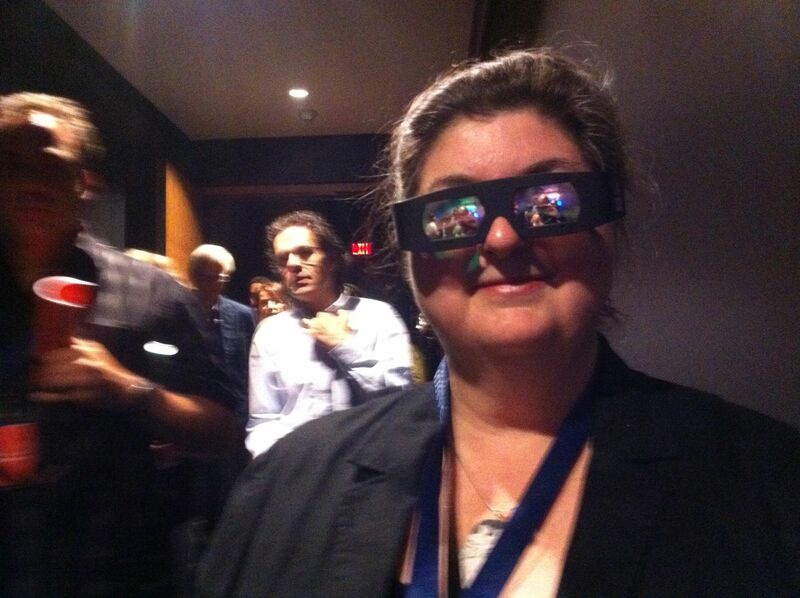 This is a blog about 3D so this post is going to be about Scorsese’s first 3D film Hugo, a new landmark in 3D filmmaking. Martin Scorsese has made a fantastic film on at least two distinct levels. It’s a great story told beautifully. Plus it’s a turning point in filmmaking that examines another major turning point in filmmaking history with great insight and love. Visually it’s gorgeous, very well suited for 3D treatment. Hugo is full of dark moody interior shots that lend themselves beautifully to the low light limitations of 3D. Lush period sets, lots of steam, snow, oversized clockworks—these all work very well in 3D. Scorsese has also mastered the art of expressive 3D close-ups. Having an incredibly talented cast certainly helps, but there is an intimacy in his technique that I haven’t seen before. It adds to the story. Sidebar: at the showing I attended there was something funny going on with the right side of the screen, not in every scene, but many. It looked like perhaps some alignment was off. I was seated slightly to the left in the theatre, but not far enough to make a difference. It was distracting (so was the row of eight little boys loudly chewing popcorn behind me) but not enough to keep me from being completely caught up in the film. 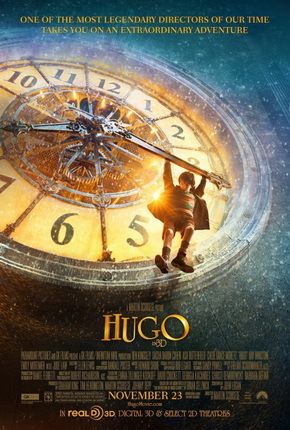 Hugo is a story-driven film, not the effects-driven cross-merchandised product so many people have come to dread. The story is a powerful one, featuring an archetype most of us can identify with—the plucky resourceful orphan. From Dickens’ Oliver Twist and David Copperfield to Harry Potter, it’s a great formula. When you see it bring tissues. 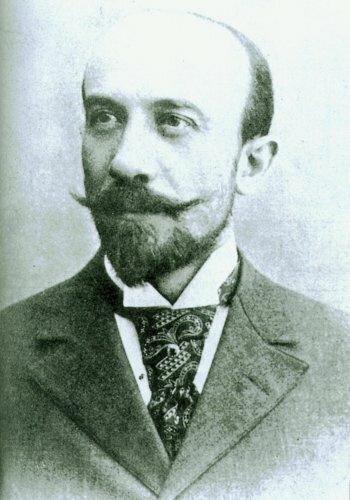 But there’s another very meaningful level to the film centered on Georges Méliès, an early enthusiastic pioneer of spectacular cinematic visual effects. In gorgeous and (as far as I can tell) quite accurate flashbacks Scorsese captures his delight in the new technology, the highs and lows of the business, as well as the risks of ridicule, ignominy, and obscurity. Méliès took what was literally a sideshow gimmick and turned it into the most important storytelling tool since the invention of the printing press and moveable type. You see where I’m going with this? This had special resonance for me. There are parallels with the artistic tribulations of 3D and I had an overwhelming sense of the historical moment—the cinema crossroads if you will—we’re at today. Scorsese is a prominent film preservationist, cineaste, and promoter of film history—as well as one of the most respected directors of our time. His study of and respect for film history is visible in every frame. He shows the seminal L’arrivée d’un train en gare de La Ciotat or The Arrival of a Train at La Ciotat Station by the Lumière brothers—one of the first things I blogged about here. Even the film’s poster depicts little Hugo dangling from a clock hand in an homage to Harold Lloyd. With this film Scorsese now joins the ranks of Wim Wenders and Werner Herzog as pioneers elevating a lowly gimmick into a powerful storytelling tool, an art. With every 3D film of artistic quality and integrity released the industry gains important experience and the negative stereotypes about 3D are eroded a bit more. Our culture is nostalgic. The good old days always seem to be behind us. Every generation believes the parade’s gone by. With Hugo we are finally seeing what 3D can do in the hands of a visionary filmmaker—from my vantage point I am increasingly convinced that the golden age of 3D film is just beginning. Let me just say upfront, this is not a review but a reaction. Or, more precisely, an appreciation. Some of us have been waiting for a long time to see Wim Wenders’ 3D debut—Pina about the legendary choreographer and dance company leader Pina Bausch. I saw a brief, tantalizing clip at a conference last summer, and everyone I meet who has actually seen it is raving. But it has yet to achieve wide release and has been hard to find. 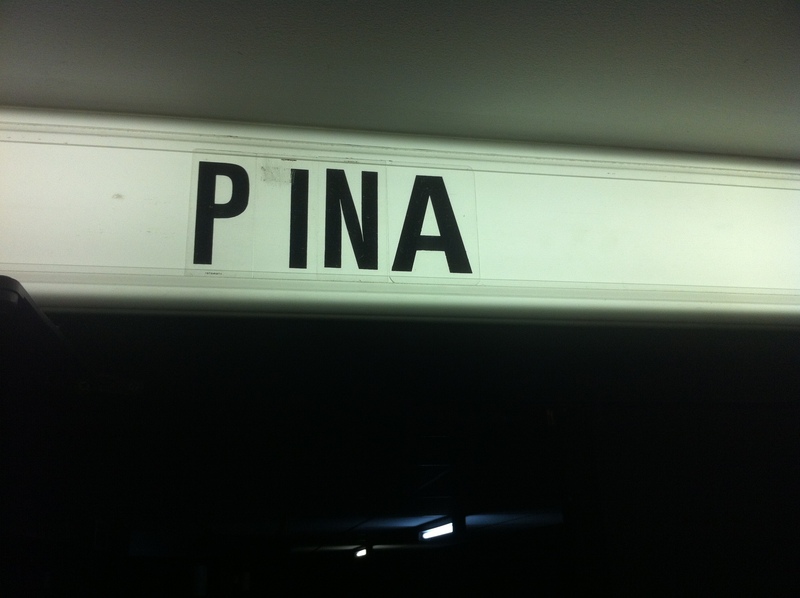 I finally got to see Pina this week as part of the events leading up to this weekend’s performances of the Tanztheater Wuppertal Pina Bausch at Canada’s National Arts Centre. This is the 3D film I’ve been waiting for. It’s gorgeous. Lyrical, subtle, joyful, witty, inspiring, and deeply moving. The film presents four of Bausch’s modern dance pieces, interspersed with vignettes—danced and spoken by company members as well as some archival footage. The backstory is heartbreaking—Bausch passed away before shooting could begin and never got a chance to see her very ephemeral art captured so lovingly on screen. Her work is deeply emotional and very theatrical. I’ve seen plays within films before (Olivier’s Henry V, Cocteau’s Beauty and the Beast) but never anything that emulated the experience of being at a live performance so profoundly. It’s great work, Wenders is a great filmmaker, but the masterful use of the 3D stereoscopy tool truly makes it transcendent. The show sold out, the audience included a who’s who of the local art and museum scene. In the lobby people were offering to buy tickets off those who had them. Unfortunately this was a single screening, in a sub-optimal oddly shaped theatre, with bad sound, cheap glasses, faulty AC and a technical snafu that made the first few minutes unwatchable (double image but not in 3D—hoots and howls from the upscale artsy crowd). I can’t wait to see it again, somewhere great. I was accompanied by a couple artist friends who were ready to hate it. They came away saying it was the best film they’d seen in ages. The truth is, we are on the verge of a golden age of 3D as an artistic medium. Whether or not you care about modern dance—this film is a masterpiece. In Pina 3D is not a gimmick but an essential component of telling the story and immersing us emotionally into what is on the screen. I hope it wins every prize. I hope it inspires a new generation of filmmakers and audiences alike. I know it inspires me. Excellent reading and a well-sourced background for anyone considering some of the loftier cultural and historic aspects of 3D. From the New Yorker. Photograph by Miles Aldridge. With this post I’m adding a category called “3Deelicious!” to collect some of the more fun, miscellaneous items out there in the wonderful world of 3D. I hope you enjoy them. Did you know that the fabulous 50s musical Kiss Me Kate was shot and released in 3D as well as 2D? Unfortunately it’s contraband. A friend in the industry has it and has promised to let me see it. I can’t wait. Meanwhile the following clip is available on YouTube but on a 3D laptop it looks pretty messy. Why is this a big deal? For those of us who have mostly seen zombies hacked to death over and over and over and OVER the idea of having something a delectable as Bob Fosse’s “specialty dance” preserved in 3D is tantalizing. Here’s a plain old YouTube clip, just for fun. Fosse’s section (which he choreographed and danced with Carol Haney starts at 2:34). One of the first “movies” ever, the Lumière brothers’ L’arrivée d’un train en gare de La Ciotat or The Arrival of a Train at La Ciotat Station. It was probably shot in 1895 and first exhibited in 1896. From the beginning filmmakers played with 3D–trying to break the proscenium wall of theatre with the new technology of film. Louis Lumière later re-shot this in 3D (either in 1903 or 1935 depending on what account you believe). There’s a lot more research to be done on the history of 3D!